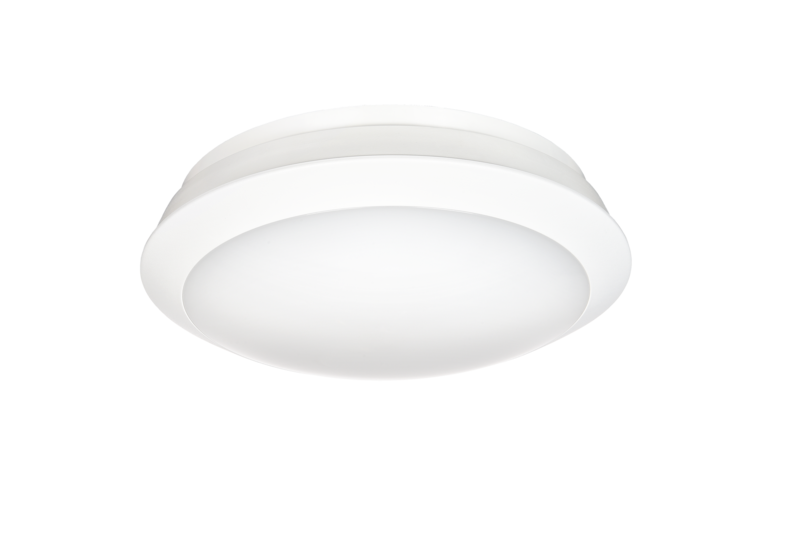 Technical ceiling LED luminaire. Available version WCR with built-in integrated high frequency motion and dusk sensors. Motion sensor – field of detection: 360° (horizontal), 180° vertical, timer range: 3 sec. to 12 min., motion sensor range: 8 m, sensitivity range: 3-2000 lx. Standard: casing colour white, IP 54, IK 10, II protection class. Options: any light and body color.